Are you ready for your big data startup to grow? Join EDI incubator! European Data Incubator is looking for 50 promising big data startups and SMEs to take part in their next round of incubation. The programme takes startups through three intense phases of growth over eight months, from August 2019 – April 2020, with a combination of online sessions and physical meetings in Bilbao and Berlin. So, is your big data startup ready to grow? Apply now! Deadline: Wednesday 19 June at 12:00 (noon) CEST. Are you a big data startup? 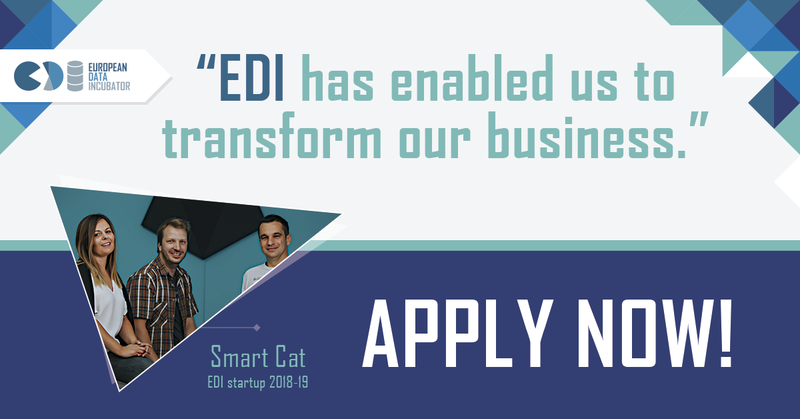 Join the EDI programme!